What are the repercussions if I don’t pay my timeshare? This is a very common question that is being asked on many timeshare complaint forum websites. 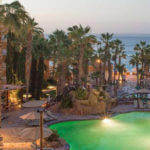 There are times that this very question is being asked by a real person and timeshare member that is searching for options with their timeshare. Unfortunately, there are also many times this question is asked by fraudulent timeshare cancellation companies that are wanting to promote their services and scam innocent timeshare members. Below is information that is unbiased about what can occur if you suddenly stop making timeshare payments. There are several repercussions that may come your way if you don’t pay your timeshare. If you are in a situation that makes you unable to pay your timeshare payments or prevents you from paying your annual dues, you need to gather all the information that you can about the repercussions if you don’t pay your timeshare payments. 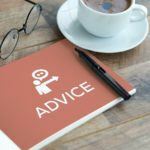 You will need to see what the risks can be when your credit rating is affected or if legal action is taken against you. What are your specific circumstances that will make you consider stop making the timeshare payments you agreed to pay when you took out the loan? Or why is it that you can’t pay the maintenance fees that are required? Here is an example: If you stop paying your timeshare payments and you default on your loan and you stop making the maintenance fees, then the consequences will be more severe if you stop paying the maintenance fees. You will lose all rights to use the timeshare until all payments have become current. Each timeshare company differs with their policy, but many of the timeshare companies will charge you delinquent fees and interest fees on the outstanding timeshare maintenance fees balance. They can choose to charge you these fees by the day or month. If you want to keep using your timeshare, then you must have all your maintenance fees paid and up to date. One of the first consequences that you will face when you stop paying your timeshare maintenance fees is you lose all rights to use your timeshare. You will also be required to pay a reinstatement fee. If the timeshare company believes that you are not going to pay your fees and dues, then they will sell your debt to a collection agency (information below). If you just stop paying your timeshare payments completely, then foreclosure is possible. The timeshare company will first send you a warning to pay, then they will contact you by emails and phone calls. If you ignore all these attempts to contact you, then the timeshare company will have no other choice than to file for a foreclosure, which means your possessions could have a claim filed against them. If you have paid your timeshare membership with a credit card or you took out a loan, then you are still liable to pay those payments as well. When you ignore all calls and emails from the timeshare company, and just stop making the timeshare payments, then your timeshare debt will then be sold to a collection agency. The collection agency will then take the legal steps necessary to sue you, which will drastically affect your credit score. You will have to face discomfort and embarrassment as many persistent telephone calls and even visits to your home and work will begin to happen daily. When you stop paying the timeshare payments your credit score will be affected. 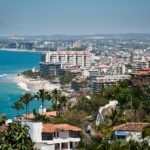 When your credit score is affected it means that when you go to purchase something else on credit they will see that you have defaulted in paying your timeshare in Mexico. This may prevent you from future opportunities or purchases when a good credit score is important. You may also become a target of a cancellation scam company if you are thinking about not paying your timeshare. 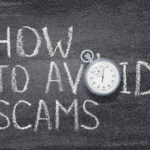 The cancellation scam company will scam your money with the idea that they will be saving you from severe consequences of not paying your timeshare membership. Now that you know what are the repercussions if you don’t pay your timeshare, you may want to make sure that you don’t default on your timeshare payments. The repercussions can be severe and something you should try to avoid. We hope you never need to know the repercussions if you don’t pay your timeshare! Share the post "What are the repercussions if I don’t pay my timeshare?"